It’s 19th June 2014. Joe died 6 months ago on 23rd December 2013. Joe was a 6 year old beautiful boy taken from us after only 10 months by a cruel twist .. an accident .. lack of information .. so I started a mini campaign. And I’ve just read about another poor soul, a friend of a friend, having to wait to see if his dog will survive a stick injury. Heartbreaking. Ok so writing about it channelled my grief but the whole thing goes beyond that. What was to be thought a rare freaky accident turned out to be all too familiar to vets and families worldwide. What was thought to be a personal kick in the nuts turns out to be a case of ignorance is most definitely not bliss. I received hundreds of comments on my first post after Joe died. I received hundreds of facebook and twitter comments too. The current WP views are at over 139000 which is great, and yet not enough. Dogs are still being treated for nasty stick injuries, vets see a few each month. I can’t preach and stay stop it, but I can let anyone and everyone who cares know what a potential danger stick throwing is: better than being totally ingnorate of the risks. What happened to Joe, and happens to dogs all over the world at a frighteningly all to often occasion was borne of ignorance, stupidity, even years of “that’s what we do with dogs”. We simply never thought about the consequences it could bring. These are but a few stories of reasons why we should try and change this…………….. Please think twice before you throw a stick for your dog to chase. In memory of a beautiful dog, whose life will not ever have been in vain, but will mean so much more if we save others from pain. 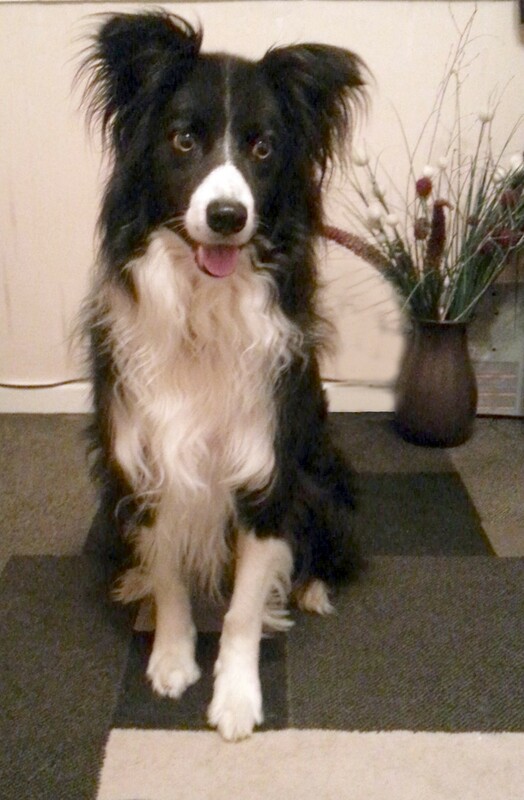 This page is set up as a memorial and as a legacy for Joe- Boy, a lovely collie dog rescued by us and loved by us until a freak accident took him away. We intend to stop as many people as we can, and as many dogs as we can, from suffereing as we have. Joe LOVED sticks! Joe would dance in front of one he had rooted out from somewhere. His eyes were bright, his paws would pad the floor and he couldn’t wait to chase the wood. Mostly I’d kick it along the floor but at times people would throw it and he’d gleefully chase, find and return until he could barely breathe, he’d ran around so much. Then home for a long sleep. From the first day we met him at FAITH Animal Rescue, in Norfolk, he chased sticks. We walked along a country lane to see if we ‘liked’ him. He didn’t care – where’s the stick? He won our hearts and we found a stick, threw it and won his. 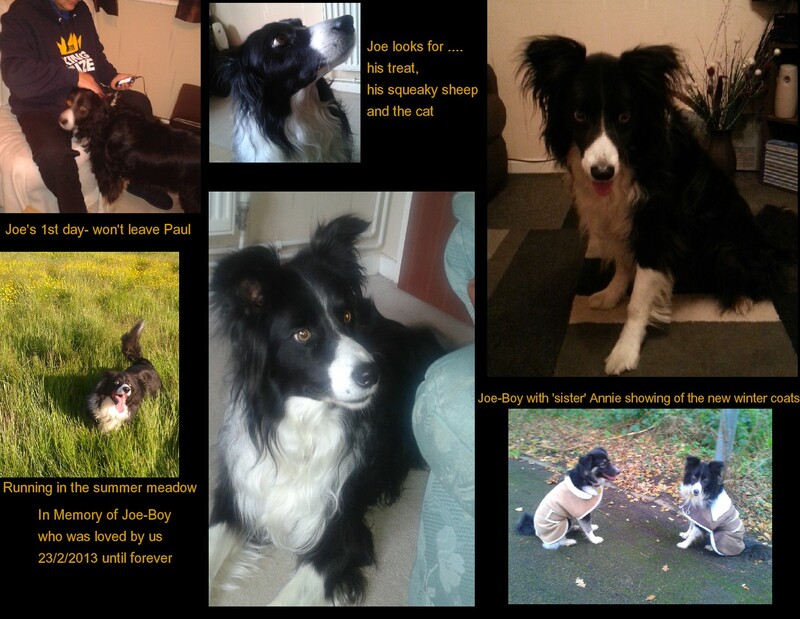 Joe was already around 6 years old, a beautiful face with pale brown eyes and an adorable grin. He’d obviously been used to sticks. Perhaps a million times he’d chased after an innocent looking peice of wood. 22nd of December 2013 that changed! Joe was out with his adopted sister Annie and a family member. The stick was thrown, once, twice, twenty times…. then disaster fell like a sword, cutting short the fun, and very soon his life. Joe caught the stick as it fell, it went down his throat, ripped his windpipe….Joe collapsed. He managed to get up and the family member got him home. A trip to the vets, 3 times in 36 hours, £700 later we were still unable to save him. It was too much, the pain too bad. He lost his strength, lost his will and one and a half days after he caught his last ever stick, he left us. Now, if EVERYONE who can to post this line on their timeline on social media or via blogs does so, whether you have dogs or not, you will HELP me, in Joe’s name to save another dog, and another family from going through the pain.